NASHVILLE – May 12, 2014 – For more than 130 years, Nashville, Tenn., has earned its nickname, Music City. Now, Music City’s story is told in its entirety when CMT hosts the cable premiere of the award-winning film FOR THE LOVE OF MUSIC: THE STORY OF NASHVILLE on Wednesday, May 21 at 10 p.m. ET/PT, featuring previously unreleased interview footage of Keith Urban. The one-hour documentary tells the tale of Music City through the eyes of musicians, songwriters, producers and artists who live and breathe Nashville. Visit CMT.com or check local listings for future airdates and times. The documentary starts in the 1800s when the Fisk Jubilee Singers traveled across continents spreading their music, and then moves on to showcasing such classics as Hank Williams, Patsy Cline, Johnny Cash and others that built the foundation of country music. Today’s Nashville is also highlighted, as the city’s evolution continues with artists like The Black Keys, Eric Church and Kings of Leon breaking new ground in the place they call home. Additionally, THE STORY OF NASHVILLE iPhone app is available for download as the documentary’s companion. The app automatically listens for and syncs with the film, offering bonus content to enhance the story along the way. The full list of artists featured in FOR THE LOVE OF MUSIC: THE STORY OF NASHVILLE includes: Jessi Alexander, Bill Anderson, The Black Keys, Eric Church, The Civil Wars, Billy Cox, Steve Cropper, Trent Dabbs, Charlie Daniels, Gabe Dixon, Duane Eddy, Fisk Jubilee Singers, Ben Folds, Peter Frampton, Vince Gill, Emmylou Harris, Damien Horne, Brett James, JEFF the Brotherhood, Kris Kristofferson, Kings of Leon, Manuel, John McBride, Martina McBride, Tim Nichols, Jon Randall, Rivers Rutherford, Tommy Sims, Michael W. Smith, Amy Stroup, Keith Urban and Marty Stuart. FOR THE LOVE OF MUSIC: THE STORY OF NASHVILLE originally aired on ABC in late 2013, and was created by Butch Spyridon, Chuck Creasy, Deana Ivey and John Godsey. FOR THE LOVE OF MUSIC: THE STORY OF NASHVILLE is produced by the Nashville Convention & Visitors Corp.
CMT, a unit of Viacom Inc. (NASDAQ: VIA, VIAB), is the leading television and digital authority on country music and entertainment, reaching more than 92 million homes in the U.S. CMT, CMT.com and CMT Radio offer an unparalleled mix of music, news, live concerts and series and are the top resource for country music on demand. 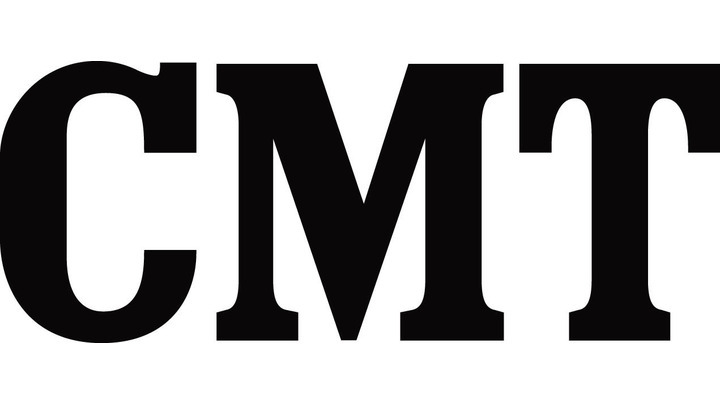 The network’s digital platforms include the 24-hour music channel, CMT Pure Country, CMT Mobile and CMT VOD.